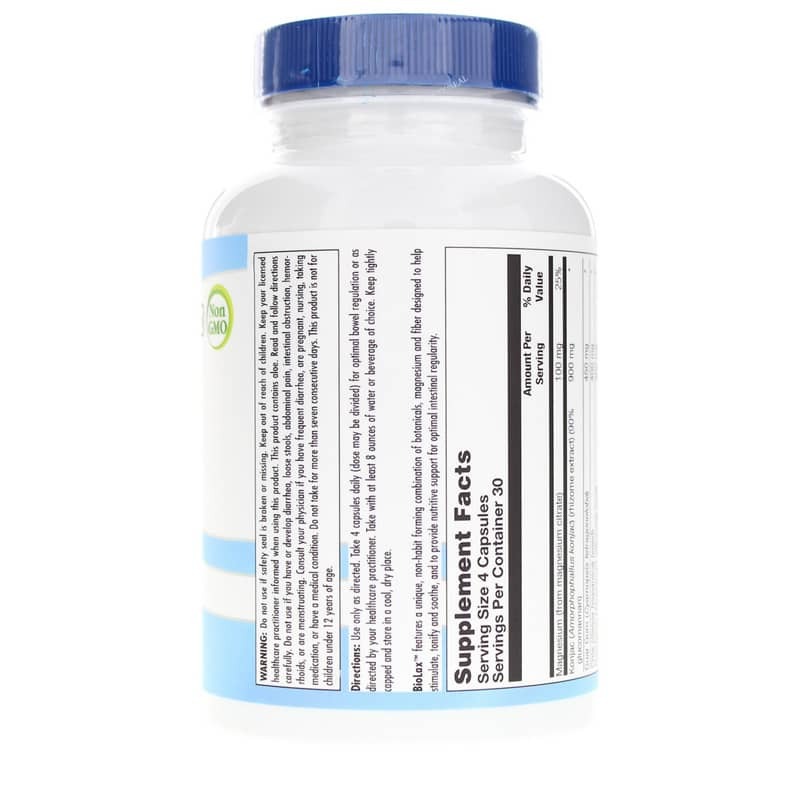 BioLax by NutraBioGenesis is a natural regularity support supplement that provides non-habit forming botanical, mineral, and fiber ingredients that stimulate, tonify and soothe, to help support optimal intestinal regularity. 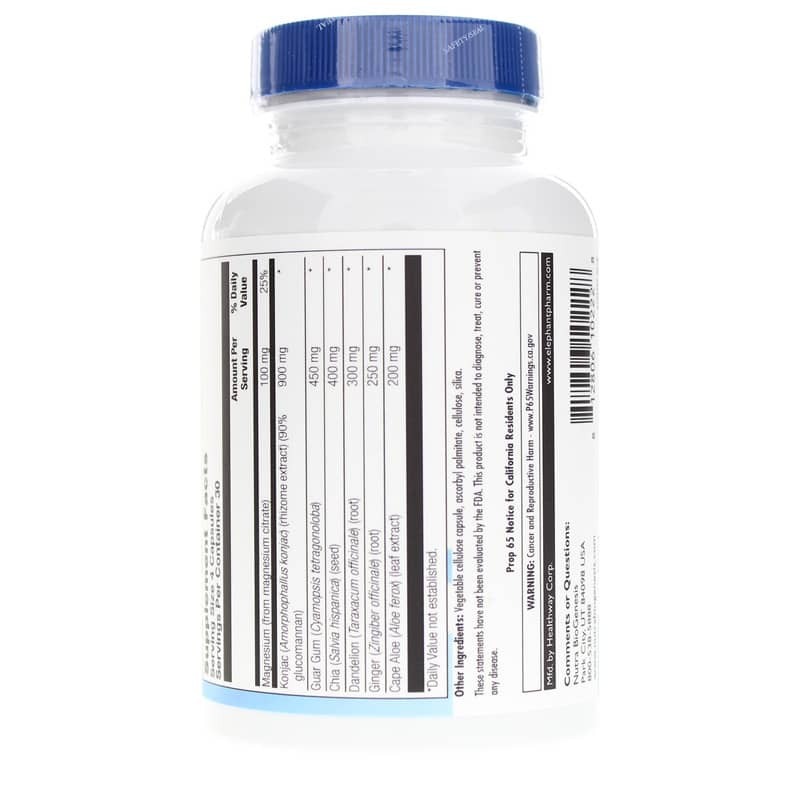 Includes konjac root, chia seed, guar gum, dandelion root, ginger root, cape aloe, and magnesium. Other Ingredients: vegetable cellulose capsule, ascorbyl palmitate, cellulose, silica. Adults: Use only as directed. Take 4 capsules daily (dose may be divided) for optimal bowel regulation or as directed by your healthcare professional. Take with at least 8 ounces of water or beverage of your choice. Keep out of the reach of children. Keep your licensed healthcare practitioner informed when using this product. Read and follow directions carefully. Do not use if you have or develop diarrhea, loose stools, abdominal pain, intestinal obstruction, hemorrhoids, or are menstruating. Consult your physician if you have frequent diarrhea, are pregnant, nursing, taking medication or have a medical condition. Do not take for more than seven consecutive days. This product is not for children under 12 years of age. 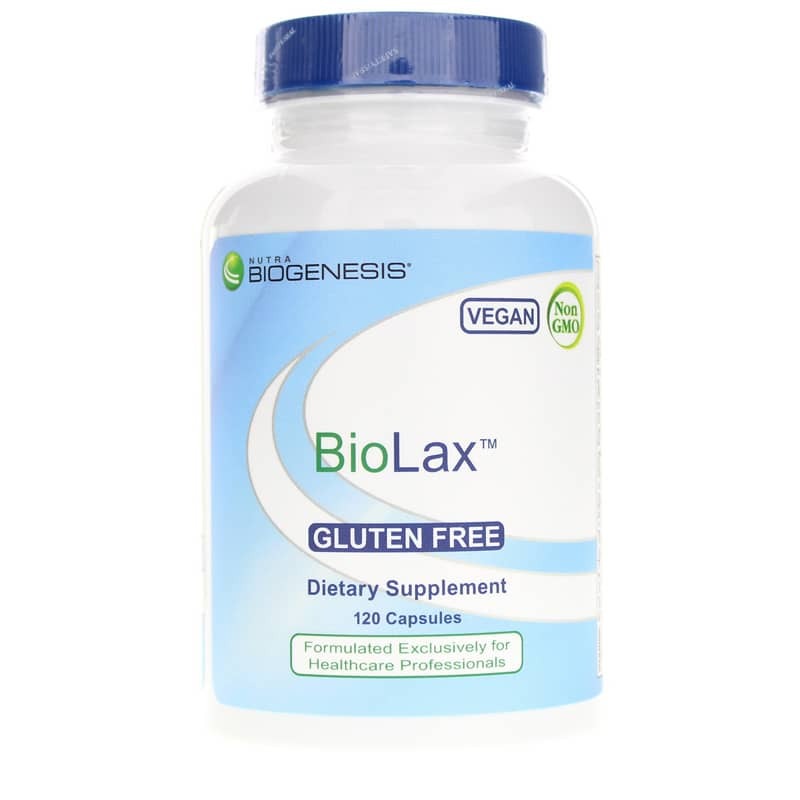 Bio Lax was suggested by my nutritionist to assist with regularity and it has worked for me. I will definitely continue using. Bio Lax really helps and it's natural! I highly recommend it.